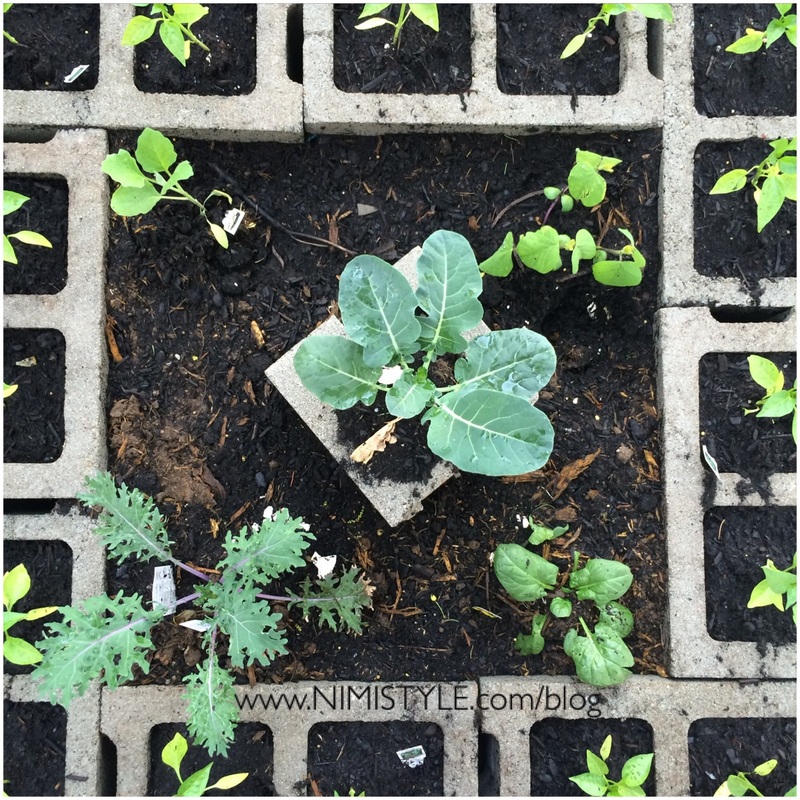 I’ve been sharing our kitchen garden journey with you on Instagram & Facebook, and even though it’s still a work in progress I wanted to go ahead and show you how we put together our raised garden beds. We kept our design simple so my 5 year old could access all the plants without needing to over extend her tiny self. What’s so great about these beds is that you can make them as wide or as skinny as your space allows! We created four individual beds in a nook in our yard. I find growing food not to be the prettiest sight. They get so big and green that they remind me of weeds. So after having our fence redone and our backyard property line adjusted. We ended up carving out a beautiful 20’x20′ area on the side of the house. It’s large enough to house many plants, but out of sight so we don’t have to see it while enjoying the yard. Also when I say carving. I mean CARVING. This area was consumed by a neighboring trees roots. It was so bad not even grass grew here. Hubby had to cut and pull out the roots to level the ground for these beds. 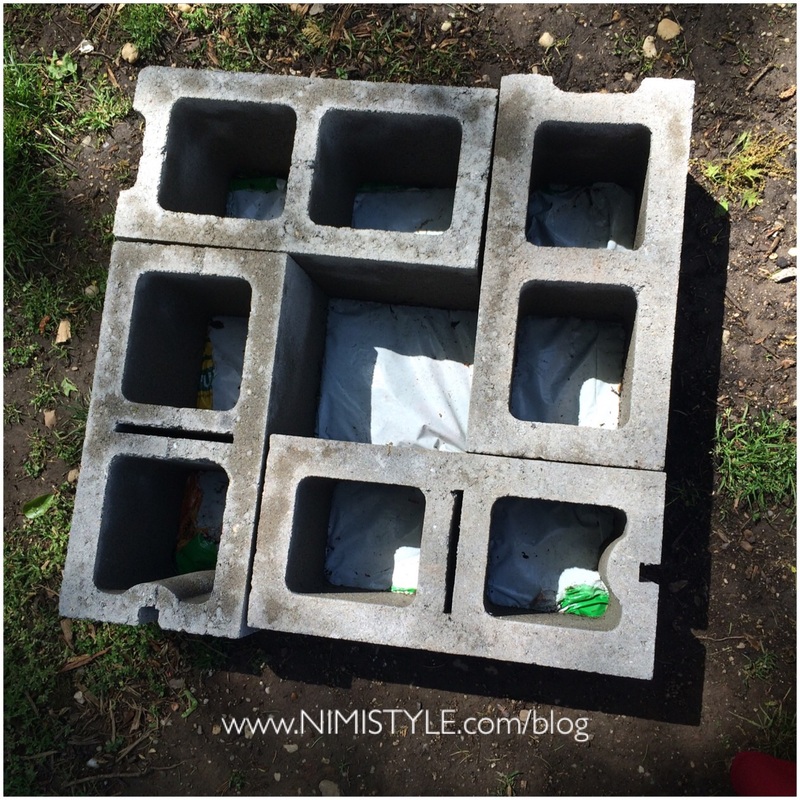 (1) Arrange your cinder blocks. 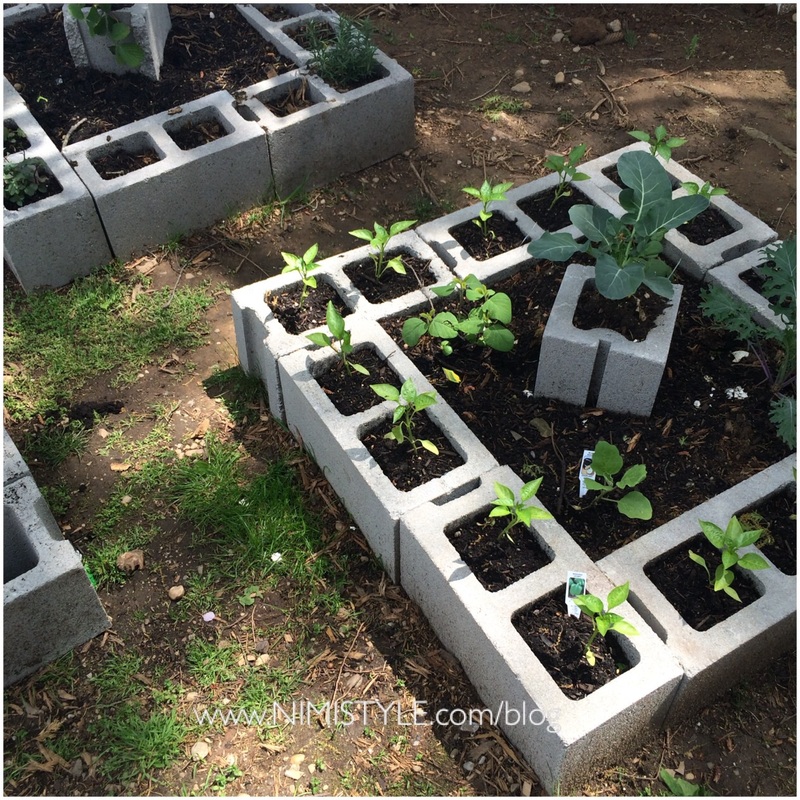 (2) Line the bottom of your cinder blocks with garden fabric to prevent weeds from growing up and the dirt from taking water and nutrition from your plants. We decided on using the plastic from our bags of dirt. When cut open all the way they fit perfectly under the blocks and are thick enough to serve the purpose. 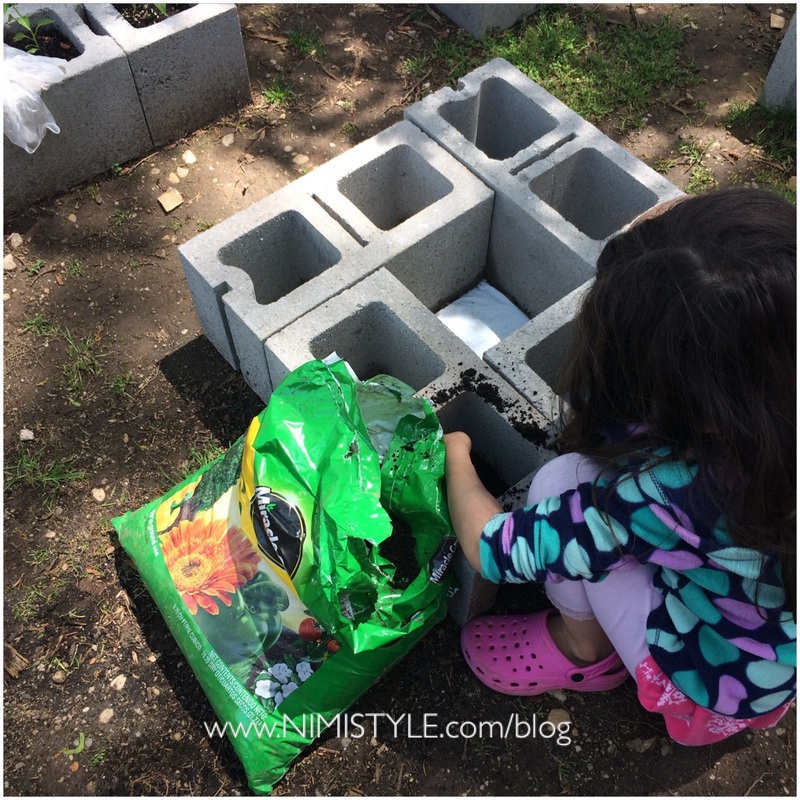 (3) At this point if you were using any other container you would need to add some sort of pebbles, rocks, or stones to ensure proper drainage. 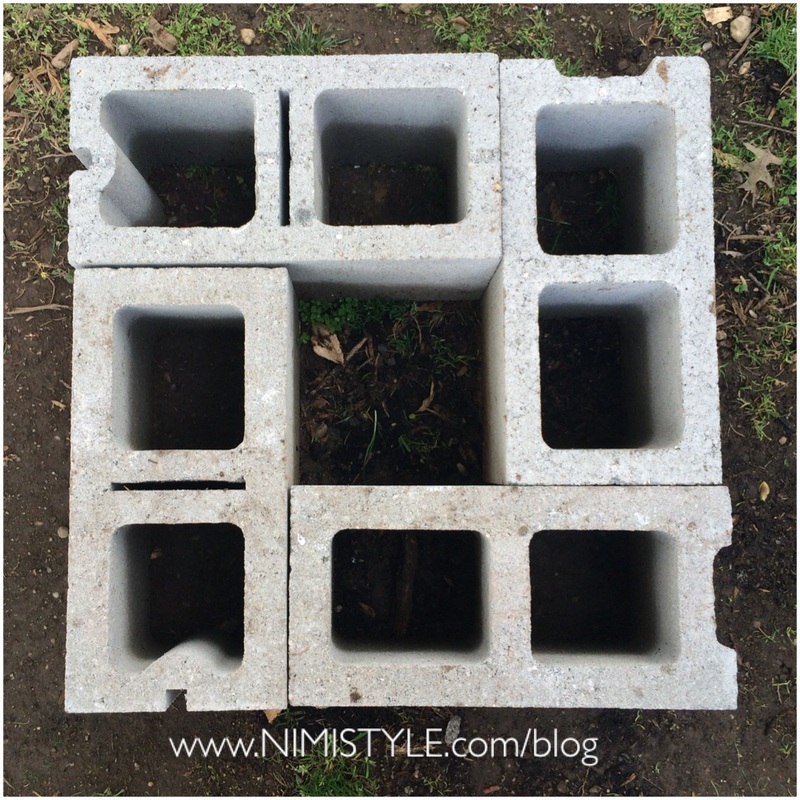 Since the cinder blocks are porous they already provide natural drainage. (4) Next add 2 parts dirt and 1 part perlite into the openings. You must be wondering what is this perlite she speaks of. Have you ever noticed when you purchased potting mix. There are these small white balls in it? That is perlite! It’s a natural material made out of volcanic glass. It is heated to the point where it puffs up into these white foam like balls. 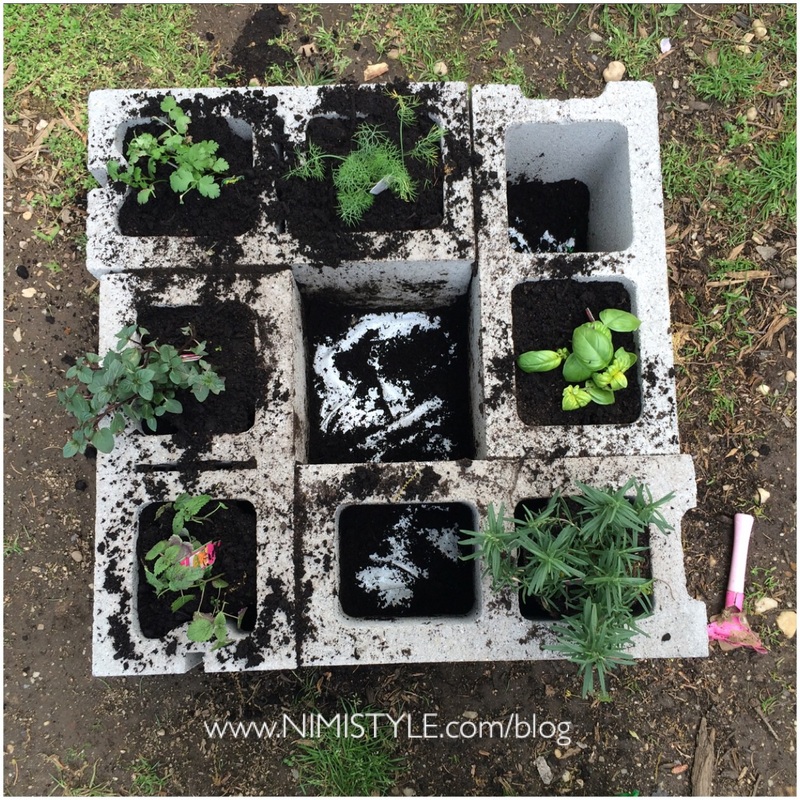 Perlite helps keep your dirt nice and loose so the roots receive oxygen. It also creates air gaps which retain water. All in all its amazing for your plants. I actually discovered perlite when my husband purchased some as insulation for his DIY tandoor. Who knew perlite was so multifunctional? (5) Now comes the fun part! Start adding in your plants. 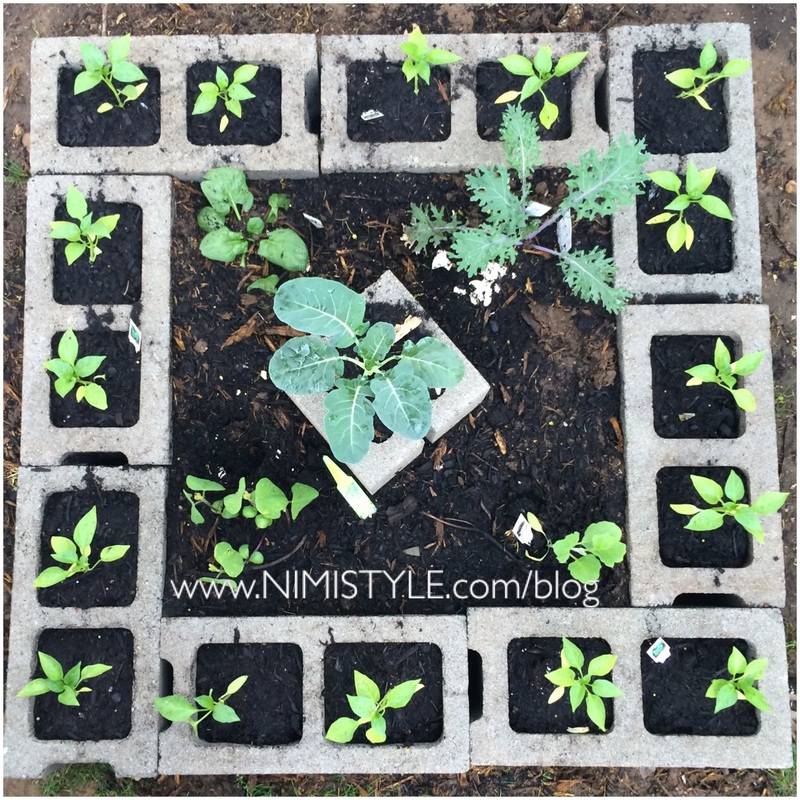 Each small raised bed can house 9 plants. The large raised bed can house 25 plants! I kept mine at 21 to give the ones in the center room to spread since the spinach, kale, eggplant, and broccoli can grow pretty big. If your plants are in the smaller end like chilli peppers you can easily plant 25. I also wanted to share this great guide I found while doing my research. It helps you group plants together so they thrive as best as possible. Check it out here. I would love to see what you’re up too in the yard this time of year! Nida! I am def doing this! This is amazing! Please do an update post on what exactly was produced! Would love to see that.